We understand that defrosting the ice build-up in your freezer is a time-consuming and frustrating job. That’s why our range of integrated freezers offers Frost Free technology which automatically defrosts the freezer so you don’t have to. The warm air that enters your freezer each time you open the door gets removed thanks to an automatic fan, leaving no chance for ice to build up – your freezer will stay frost free. 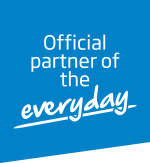 Whether you need to place your integrated freezer in your garage, your basement, or anywhere else in your home, our Freezer Guard technology ensures your integrated freezer will always function properly, keeping your frozen food frozen whatever the outside temperature – even if it drops to as low as -15°C. 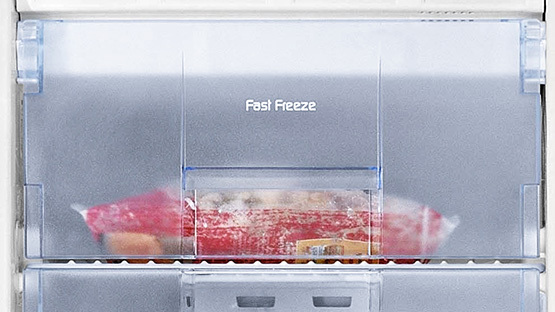 Ideal for locking in your food’s vitamins and nutrients, the fast freeze setting in the top compartments of our freezers freeze your food 10% faster than the other shelves. That way you can enjoy nutritious and vitamin-rich food all year around, as fresh as the day you bought them. What is the fast freeze function? How do I adjust the temperature? How do I manually defrost static freezer models. Is the backing on Beko integrated freezer flame retardant?